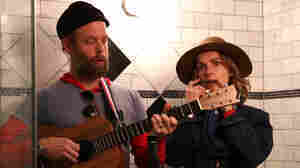 April 6, 2017  Watch Bonnie "Prince" Billy and Elsa Oldham perform the late-period Merle Haggard tune in a steam room. April 8, 2016  Haggard, who died April 6, was singularly rebellious and rootless, and his songs are a graduate course in everything timeless and true about music, says the Drive-By Truckers singer. 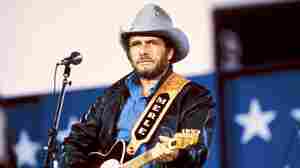 April 6, 2016  Outlaw, "Okie from Muskogee," poet of working-class values and a fixture in country music for 50 years, Merle Haggard died Wednesday, April 6, his 79th birthday. 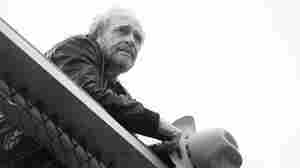 April 22, 2010  Diagnosed with lung cancer in 2008, Haggard is happy to be alive and recording new material. April 20, 2010  Hear a preview cut from what's rumored to be the last LCD Soundsystem album. Plus Merle Haggard, Judgement Day, Radar Brothers, Cornershop, and more. 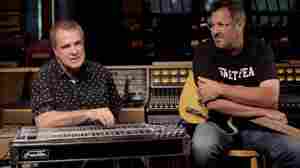 February 2, 2006  All Songs Considered host Bob Boilen talks with NPR music reviewers Tom Moon, Will Hermes and Meredith Ochs about this year's Grammy Awards nominees. May 24, 2015  More than three decades after Pancho & Lefty, the country titans pair up again, this time for an album that puts eclecticism front and center. 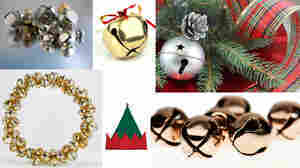 December 20, 2011  There's more to the season than "Jingle Bell Rock." This week, the All Songs crew spins some holiday music you might not have heard before. November 28, 2013  With Bakersfield, the duo pays tribute to two of country music's most respected artists: Merle Haggard and Buck Owens. 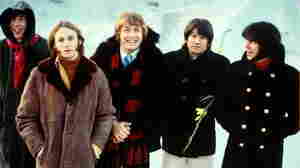 Hear the musicians perform a set of songs from the album. 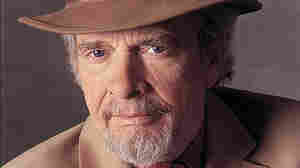 January 3, 2008  Haggard has been churning out albums for nearly 40 years, fashioning a career as an iconoclastic country-music legend. 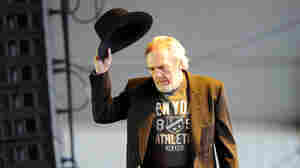 Now 70, "The Hag" has just made a foray into bluegrass: The Bluegrass Sessions features revamped versions of songs both old and new. November 27, 2007  A vintage holiday record from Merle Haggard gets a new spin, along with releases from Michael Buble and Kellie Pickler. And, of course, there's another Charlie Brown Christmas tribute album. 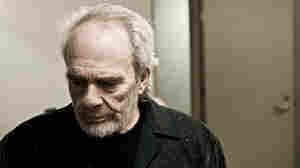 May 23, 2007  Willie Nelson is 74; Ray Price is 81; and Merle Haggard is a mere 70. 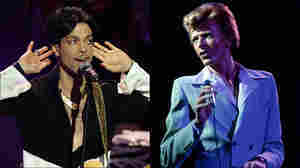 The three of them have collaborated on a new double-CD, Last of the Breed. 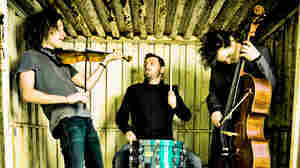 But despite the many years that the trio share between them, the music is pretty fresh. June 9, 2001  Scott talks with country singer Merle Haggard about his new album If I Could Only Fly and his various conspiracy theories. 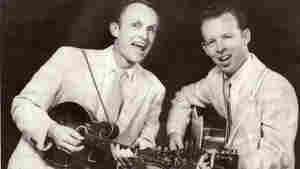 Charlie Louvin (right) and his brother Ira, a.k.a. The Louvin Brothers. 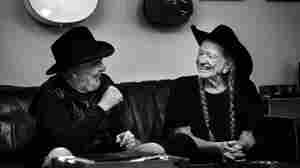 February 13, 2012  In this episode's tribute to country and bluegrass artists, hear from the Grand Ole Opry's Appalachian folk-inspired Charlie Louvin and the "Okie From Muskogee," Merle Haggard. Not coincidentally, Merle Haggard's "Working in Tennessee" documents a young ruffian who pulled himself up by his bootstraps. October 19, 2011  Not coincidentally, Haggard's "Working in Tennessee" documents a young ruffian who pulled himself up by his bootstraps. 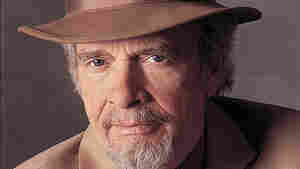 April 12, 2010  Back in January, Vanguard Records signed "the poet of the common man," country-music legend Merle Haggard, to its roster. His new album for the label, I Am What I Am, is his first recording since 2007, as well as an unapologetic declaration of self-awareness.